Appearances do matter when it comes to business. An unkempt or unsightly premise gives off an impression of untrustworthiness and carelessness to your business partners and customers. For that reason, carpet maintenance should never be a low priority for businesses big or small. Maintaining a clean building interior during the winter months can prove a challenge with snowy boots, frigid temperatures, and employees/clients entering and exiting every day of the season. However, don’t underestimate the task of summertime protection for your commercial carpeting. Just because the snow has stopped falling, doesn’t mean there aren’t unique threats to your interior carpets. Here’s some tips on how to protect commercial carpeting from summertime damages. ● The wood flooring underneath the carpet to expand in the heat and moisture, causing gaps in the carpeting. ● Parts of the floor to raise up from its foundation, causing cupping and buckling. Whether it’s a humidifier or a dehumidifier, keep your office’s interior moisture level between 35% to 50%. Anything higher, and you risk commercial carpeting water damage. In addition, respond quickly to spills, roof leaks, and other sources of water. Keep your air conditioner or heating system maintained well. Not only heat, but also plain sunlight has a tendency to fade carpet colors and weaken its structure over time. While it might not be possible in all cases, a good set of window shades helps. 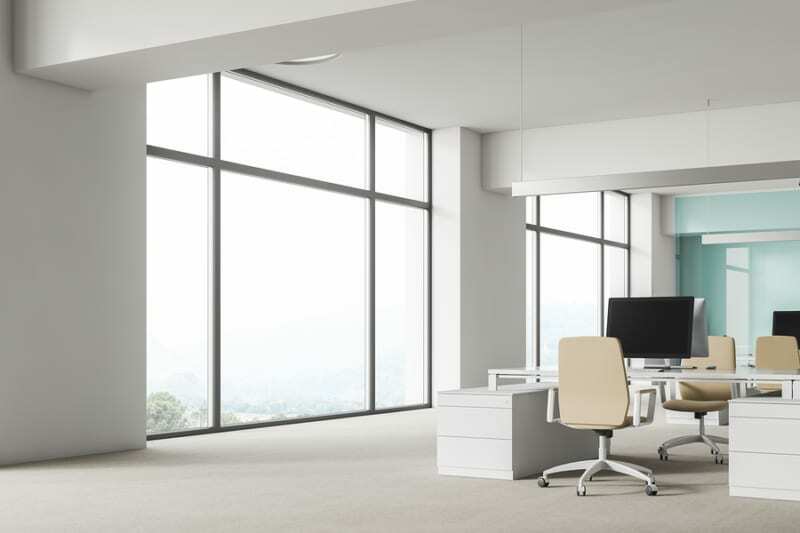 If your employees or clients prefer a sunlit room, consider window blinds that angle the light away from the floor. Even stopping direct exposure can help. Of course, the usual issue of heavy traffic in hallways, the dirt and moisture from dirty shoes at reception, and the occasional spill or tear will still happen no matter what season it is. In the summer, especially, the constant traffic of customers’ summer shoes through outside soil and into your carpets is another reason not to skimp out on commercial carpeting maintenance. A quick cleanup job from your commercial carpeting and maintenance company is always worth the cost. The damage from stagnant water, stains, and fraying not only looks unprofessionally ugly but also threatens pollen and allergens in your company building’s interior. The time has come to install a new commercial carpeting project to spice up your business’s interior design. So, who do you call? Contact us at Cadillac Carpet & Flooring. With over 25 years of experience under our belts, we know commercial carpeting design, installation, and maintenance better than anybody else. 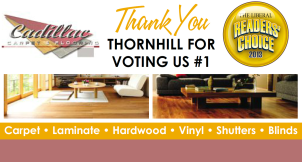 Want to use the same service retail businesses, hotels, condos, and offices all across the region trust the most? We have design experts and the best material suppliers at our disposal to give you a commercial carpeting project that covers every step of the process from design selection to installation. Companies all across Southern Ontario love our products and service, and we’re confident that you will too. ● Commercial carpeting maintenance isn’t a one-time consideration. Year round, whether it’s winter snow or summertime sunlight, there’s always a reason to maintain and protect such a vital aspect of your business’s interior design. ● In the summer, humidity is the biggest threat. Control your company’s humidity with dehumidifiers and spill prevention. ● Get a complimentary consultation from Cadillac Carpet & Flooring when you contact us today. Don’t forget to ask about the major brands we carry, including Stainmaster and Anso.